We manage our client's investments by helping them to look for a tenant for their property. We help first time home owners look for a place that suits their needs and we also help provide homes to renters within their budget. We teach new investors to own their own place.By going the extra mile we helped them generate income for their investments, and that service in turn led to future property investments. We also helped clients look for property they could rent within their budget then educates them on how to save and eventually purchase their own propety. 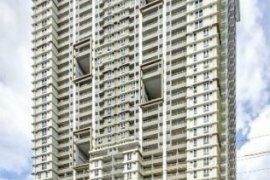 La Verti 1 Bedroom Pasay City Condo High Rise Residences Taft Avenue for Sale. Stamford Executive Residences Studio Condo for Sale. Eastwood Parkview condo big studio for Sale Eastwood QC. RUSH SALE 2 BR with parking Mirea Residences Pasig. One Orchard Road 1 bedroom condo with parking for sale Eastwood City QC. Riverfront Residences 2 bedroom condominium for sale Caniogan Pasig City. The Birchwood Residences for Sale 2 Bedroom Acacia Estates. For Sale studio condo unit Eastwood Excelsior Quezon City. Eastwood Lafayette condo for sale Studio unit Eastwood Cyberpark QC. 2 Bedroom Condo with parking for Sale Brixton Place DMCI Homes. 2 Bedroom with parking Condo for sale in Zinnia Towers, Quezon City, Metro Manila. Royal Palm Acacia Estates 2 Bedroom with Parking for Sale. For sale 2 BR condo unit La Verti Residences Pasay City. Studio for Sale Flair Towers DMCI Homes. Studio condo for sale at One Orchard Road, Eastwood City QC. 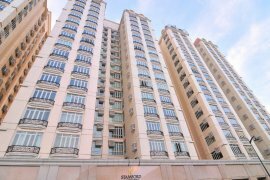 3 Bedroom condominium with parking for sale Riverfront Residences Pasig City. 3 Bedroom Tandem with parking for Sale Lumiere Residences DMCI Homes. Big 1 Bedroom condo with parking for sale Eastwood City Parkview Towers in Quezon City. For Sale 2 BR with Parking Maple Place Acacia Estate Taguig. Maple Place Acacia Estates Taguig 2 BR Condo with parking.